Episode 9 : What is a "Food Sensitivity"? Do you have one? 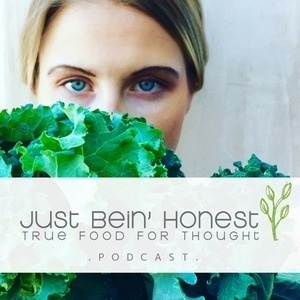 Getting honest with Nutritionist Sally Berry. Knock knock, it's your health calling! But when you look deep inside what are you actually advocating for yourself? What are you advocating for the longevity of your health? But beyond that... What are you advocating in the sustainability and the health of the environment that will in turn better your health? Sally Berry of Bodyfuel reveals that many people are coming to realize that they are not feeling so well after they take a bite or two - they end up with uncomfortable symptoms such as bloat, inflammation, even aches and pains - OH and mood swings!!! These signs could all be a case of undergoing a sensitivity within the foods you are consuming. Sally, an "Environmental Nutritionist", taps in to the whole picture of the treatment of the food chain when working with clients on this topic of : "Food Sensitivities". The way that the food is produced - soil, environment, etc. The practices performed on the land - treatments and nurturing of the crops. The consistency and humanity of how the workers are treated - fairly and with equality. The mindfulness of transportation and sales of the agricultural product - reducing waste and supporting local efforts and farmers. The time is now to nourish your temple of a body, but it starts with the outside and how we nourish the environment and SUPPORT mother earth's life. Want to connect with Sally?